Despite the fact that mechanical dive watches are rarely actually used for diving anymore, their combination of rugged steel construction and clean, functional design makes them some of the most popular timepieces around. The best of these, however, also come with a great backstory. Such is the case for the Doxa SUB 300 Aqua Lung Edition — aka the “Back Lung” — the coolest professional dive watch you’ve never heard of. 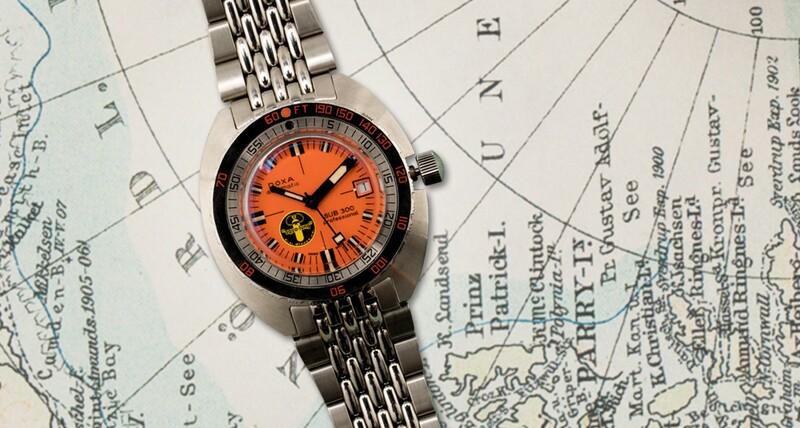 DOXA has been making mechanical watches since the 1880s, and with the rise of recreational scuba diving in the 1960s, they decided to take the plunge (so to speak) into the world of undersea exploration. Released in 1967, the SUB 300 caught the eye of none other than Jacques “The Silent World” Cousteau. He liked the watch so much he brought it to market himself in the United States, branding it with the black-and-yellow logo of his American scuba gear company, US Divers Co.. Those few original Cousteau models, with the company’s “Aqua Lung” logo in black on the orange face, are now as valuable as sunken treasure — and perhaps even rarer. DOXA released a 300-piece limited edition re-issue last year to celebrate the Black Lung’s 50th anniversary, and unsurprisingly these sold out immediately. This week, however, a few lucky collectors now have another shot to get their hands on one, thanks to a contest held by online watch auction site StockX. From March 9th to 11th, StockX will take entries for five re-issued Black Lungs, which the lucky winners can then purchase at the original retail price of $2,590. 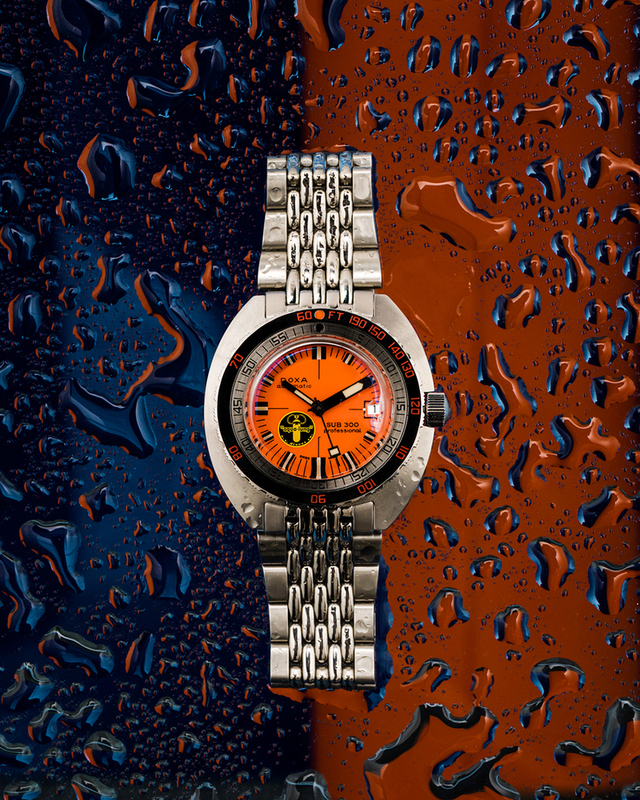 With its blaze orange face, sturdy steel bracelet, and 300 metres of water resistance, the SUB 300 Aqua Lung Edition remains a watch fit for exploring the ocean’s depths. But don’t kid yourself — everyone knows it’s really all about the story.